Archbishop Michael Miller has outlined concerns and offered suggestions regarding the implementation of legalized marijuana in Canada. I welcome the British Columbia Government’s consultation on cannabis regulation and the opportunity to offer my concerns, and some suggestions, about the implementation of legalized marijuana in Canada. Let me also me commend the Government for taking seriously the opioid public health emergency by creating a Ministry of Mental Health and Addictions. The issue of addiction and mental health is, I believe, relevant to the discussion of a regulatory framework for cannabis in B.C. The Government carries a heavy responsibility as Canada proceeds with this initiative, which will make it the only G7 country, and only the second country in the world, to make the recreational use of cannabis legal. When the Federal Government announced it would legalize marijuana for recreational use, its stated intention was to keep drugs “out of the hands of children, and the profits out of the hands of criminals.” If legalization takes place by next July, as expected, it is important that provincial regulations reflect the intent of this Federal legislation. I hope to offer some suggestions to ensure young people don’t suffer the consequences of liberalizing a substance that can impair judgment and health and that, until now, has been against the law. As British Columbia sets up a regulatory framework for distribution, sales, consumption, and possession of cannabis, we are fortunate to have years of experience to draw from in other jurisdictions, as well as our often-unsuccessful history with other controlled substances such as tobacco, liquor, and prescription drugs. Consider the effects on young people alone. There is evidence that use by teenagers rises, high school dropout rates increase and traffic fatalities involving marijuana use doubled. When cannabis is legalized, emergency room visits by children and poison control centre calls rise as children ingest cannabis in everyday products. Because of the great risks, known and unknown, and the experience of other jurisdictions, I urge the Government to take a strict approach to regulating cannabis in order to keep it out of the hands of the most vulnerable. Due to the widespread and growing perception that marijuana use is safe, I urge the Government to launch a broad education campaign outlining the facts about cannabis use, so the public are as familiar with the risks as they are with the risks of smoking, alcohol, and other drug use. These negative outcomes identified in the paper include the potential risk of addiction, health problems, increased fatal and non-fatal motor vehicle accidents, and reduced life achievement and school performance in cases of long-term use, especially starting in adolescence. The Government must keep in mind that the message it sends on marijuana may affect, especially for young people, the social acceptance of other drugs, possibly weakening messages on opioids and other substances. Distribution and retail use: restrict the sale of cannabis to entities with an established history of dealing with controlled substances, such as pharmacies and liquor stores. Personal cultivation: prohibit growing within a to-be-determined distance of a school, park, place of entertainment, or other place typically accessed by minors. Driving restrictions: In the absence of appropriate suitable roadside testing, implement a zero or low-tolerance threshold for drivers, as is the case for professional drivers and airline pilots. Public consumption should be prohibited, as with smoking and unlicensed alcohol. Legal age limit: 21 years due to adolescent brain development continuing into the 20s. In my 2016 Statement on Vancouver’s Overdose Crisis I called on the Provincial Government to increase addiction treatment and residential care. This is clearly needed more than ever as the opioid crisis worsens and a new legalized drug enters the marketplace. These recommendations do not reflect a legalized, punitive approach to cannabis, but a measured and reasonable strategy to educate and discourage use, as we do with tobacco, and provide resources for those who wish to stop, as we do with alcohol abuse. It is our responsibility, both Government and Church, to protect and form young people, who are our future. I strongly urge the BC Government to tackle these issues with a broad, holistic approach that takes into account societal problems such as addiction, mental illness, and homelessness. Such a strategy will ensure that at the federal and provincial levels, we look at health approaches that address overall wellness. I pray that as the Government implements measures to regulate marijuana use, it will deter its use among young people, implement effective treatment, and at the same time use this as an opportunity to address the widespread causes of so many in our society, and young people in particular, turning to drugs. This statement was submitted to the government November 1 and is re-posted by permission. 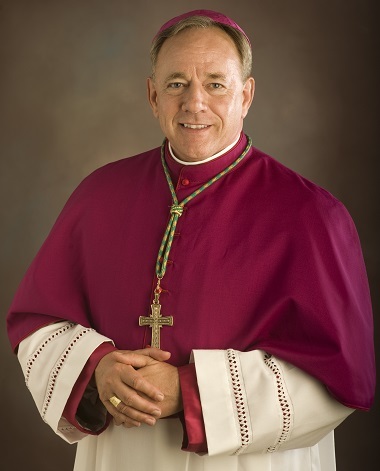 The Most Reverend J. Michael Miller, CSB, is the present shepherd of the Roman Catholic Archdiocese of Vancouver. Personally, I’ve seen marijuana operate instrumentally in destroying the lives of people I’ve loved, drastically compromising the quality of life of many others. Further, among the many other health problems it can precipitate, marijuana has been scientifically proven to lower every area of brain function. There are absolutely no redeeming features in the legalization of marijuana for recreational use. Nor should anyone, a man of the cloth or otherwise, endorse it as anything that can be rightly and responsibly enacted. Hi Mark. Unfortunately the pending legalization of recreational marijuana is a fact, and the BC government is now in the position of regulating it. Submissions like the archbishop’s are intended to guide the government as it considers possible models, and his comments make it clear he wants to see as stringent a regulatory framework as possible.